Corporatocracy or Democracy? » Democracy requirements, deficits, solutions » 2016-10-02 Ralph Nader CBC interview. On ethics of voting for third-party candidate, if polls show Donald Trump might win. Well done! 2016-10-02 Ralph Nader CBC interview. On ethics of voting for third-party candidate, if polls show Donald Trump might win. Well done! RELATED: A worthwhile PBS documentary, The Choice for American voters in the upcoming presidential election is found at #4 (the Clinton-Trump duo) in Surveying the landscape of the empire. A deficit in the documentary: it assumes there are only 2 choices. This week, the Democrats embarked on a full-court press to convince those tempted to vote for a third party candidate in the presidential election, not to do it. In about five weeks, either Hillary Rodham Clinton or Donald John Trump will win that race. The outcome, however, may well depend on how many votes are cast for neither of them. 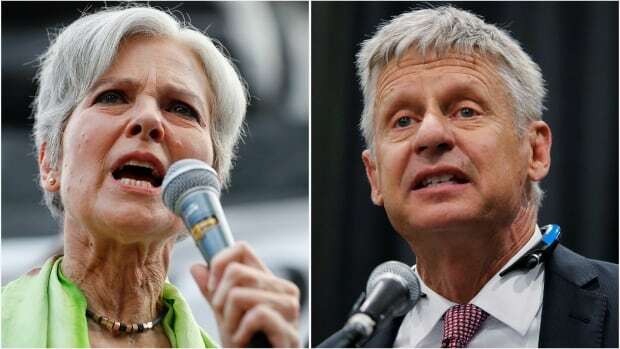 According to the most recent polls, support for the leader of the Libertarian Party, Gary Johnson, is hovering at around eight per cent of the popular vote. Green Party leader, Dr. Jill Stein, who has been a guest on The Sunday Edition, has about four per cent. Those may seem like insignificant numbers, but in a tight two-way race, they could make a difference. Many believe that had Nader not been on the ballot, Al Gore would have become president, saving the world from the war in Iraq, and even the creation of ISIS. 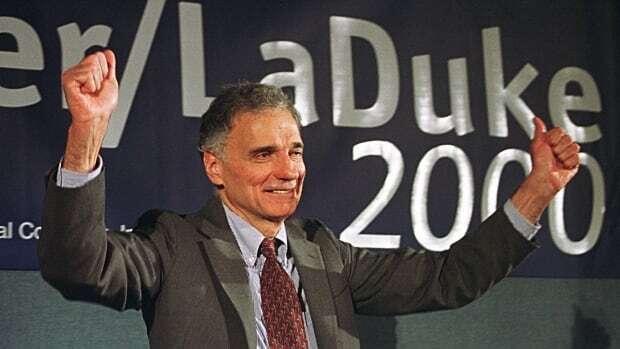 Nader not only dismisses the notion that he’s responsible for the election of George Bush, he argues that third and fourth party candidates are essential for a healthy democracy. He continues to call on voters to disrupt the current political system. Ralph Nader is an activist, a lawyer and the author of several books. The most recent is called Breaking Through Power: It’s Easier Than We Think. Click Listen 28:17 to hear Michael’s interview with Ralph Nader.